In 2013 I remember the first step I took into the Napa Fairgrounds, it had been transformed, it no longer held the Ferris wheel, gravitron and greasy corndogs of county fairs from years past. 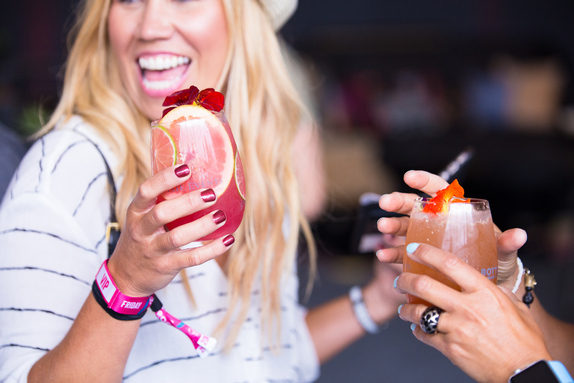 It was molded into an adult playground, filled with bougie bites, high end wines and some of the best music from all over the world. 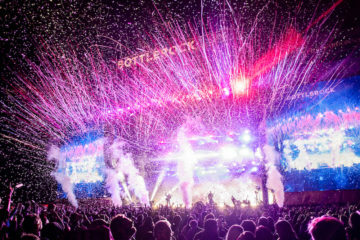 It was Wednesday night and the first artist to grace the BottleRock stage was Macklemore. Coming off the heels of his debut album ‘The Heist” being released, his songs “Shopping Cart,” “Can’t Hold Us” and “Same Love,” were basically three of the biggest songs at that very moment in pop music history…..the crowd was going INSANE. I can still feel the energy that I felt jumping around with what felt like 500 people…it was that tiny, the only thing happening was that opening concert and we all went home. The next day the festival truly opened, and we were off to the races! Since 2013 quite a bit has changed, but one thing remains the same, when the festival ends, it feels like summer camp just ended and you must leave what was the best weekend of your whole year. The memories, the photos and the epic boomerangs become a thing of the past and we all patiently wait for them to release the lineup for next year. I figured since I am an old pro at this BR thing, I would give you the rundown of my personal tips and tricks to navigate the festival and all its intricacies! The Napa Valley is famous for the temperate climate that allows us to grow exceptional grapes. We have hot/warm days followed by 40-50 degree temperature drops in the evenings. Why am I telling you this? When it comes to fashion you need to be prepared, definitely layer and or bring a pair of leggings you can change into, a sweater or jacket tied around your waist and closed toe shoes. If you must wear sandals, I’d suggest a slight platform so your feet aren’t black from dirt at the end of the day. It’s a long day, so whatever you wear just make sure you’re going to be comfortable. If you run into an issue with your clothing choices you packed, there are plenty of adorable shops in downtown Napa that you can load up on new items for your closet and the festival: Boho Lifestyle, Miyamo Boutique, Wunder Boutique, Shop Twelve etc. 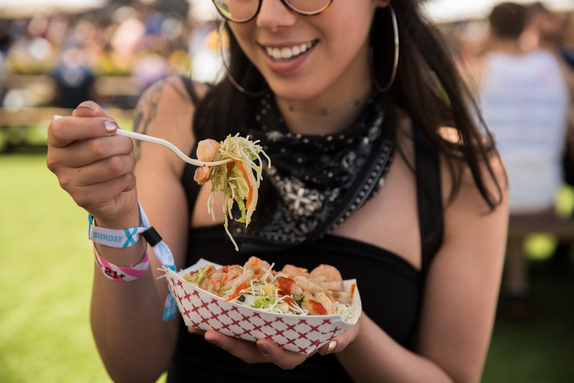 Being known as a luxury festival means just one thing, you better come correct on the food! The food vendor lineup never seems to disappoint and what is REALLY neat about the food scene for me, the items aren’t always what is served at their Napa venues (if it is a local restaurant you choose to order from), they make items specific to the festival that travel well and are delicious, so even though I frequent most of the restaurants that will be at BR, us locals get to experience something different. Some of my favorite restaurants that will be at the festival: Bistro Don Giovannis, Fume Bistro, Morimoto, Taqueria Rosita, Golden Harvest, Estate Events By Meadowood, Bounty Hunter, Mustards Grill….I basically should just stop now because literally it seems almost every Napa restaurant has a presence and that Is going to be SO cool for anyone coming to visit, you won’t have to worry about missing out on anything ! 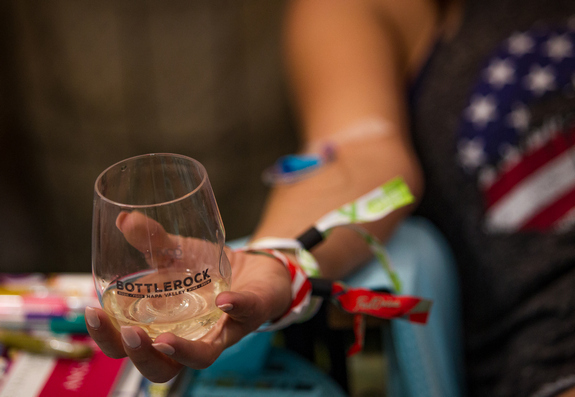 When it comes to wine, that’s what you came for right? 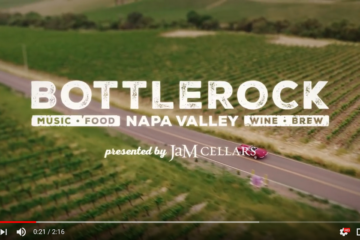 Some of the best wineries in the Napa Valley support BottleRock and come out to pour! Some of my personal favorites you are sure to run into: Miner Family Winery (They also sponsor an entire stage for BottleRock, The Miner Stage), Stag’s Leap Winery, Schramsberg Sparkling wines, Silver Oak Cellars, St. Supery Wines, Piazza Del Dotto Vineyards, Luna Vineyards, JaM Cellars, Cliff Lede, Blackbird Vineyards….just to name a few! When it comes to beer you can expect some of the best craft brews that northern California has to offer and beyond, with the likes of Lagunitas, Stone Brewery (just opened a new location in downtown Napa that’s near the festival), 21st Amendment, Saint Archer, Ninkasi Brewing Company, Fieldworks, Tannery Bend, Napa Smith and good ole Mare Island Brewery. If you are looking to really tie one on they are featured a Bourbon Bar and specialty cocktails from Milagro, Hendricks Gin, and Reyka Vodka (I am especially interested in trying their Tumeric cocktail to stave off inflammation from the countless bites I will be consuming). Street parking will be available all around the festival, locals who own large lots will start charging $40-60 to park, but at the end of the day it probably ends up being the same cost as an Uber during surge pricing. The other option is to leave your car at the hotel and UBER/Lyft to the event. The Uber/Lyft folks will drop you off at the corner of Third and Randolph Streets, so it will be a short walk to the festival up Third Street. Buses are available in certain cities (reserve your spot online) around the bay area, in addition to our local bus service taking you as far as the BART station. If you’re a local or your hotel has bicycles available, BottleRock offers complimentary bike parking near the festival as well. What I can/can’t bring inside? 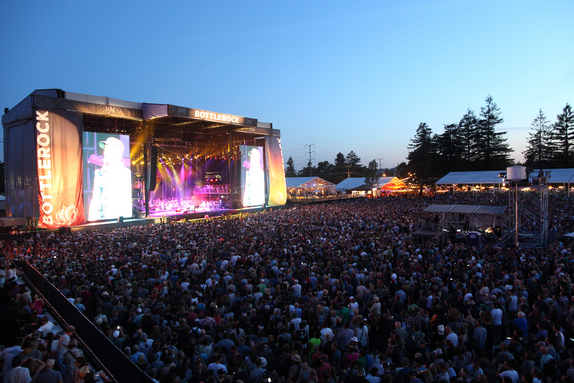 I have been to BottleRock every year since its inception. Each year the organization of the festival has gotten better. As a local, organization is something you love and respect because when you live in a place that’s surrounded by constant tourism, it’s nice to know that the team at BR has the communities best interest. First and foremost, they want to keep everyone at the festival safe and that is very clear by the very LONG list of items you CANNOT bring in to the festival. I have linked the official list HERE, but figured you would get a kick out of some of the ones I found pretty random: Chinese lanterns (dang, I better cancel my Amazon order! ), Kites (seriously? ), Vitamins (make sure you take them BEFORE you leave for the festival) and definitely no Flags….in case you were looking to represent, leave your patriotism at the door! Included in the list of what you cannot bring are the items you CAN bring: Sunscreen (non-aerosol), blankets/towels, sealed cigarettes, non-professional cameras, one empty water bottle (they offer a lot of water refilling stations to keep you hydrated for FREE during the festival) and CamelBak-style water bladder systems (check policies to ensure yours is okay!). 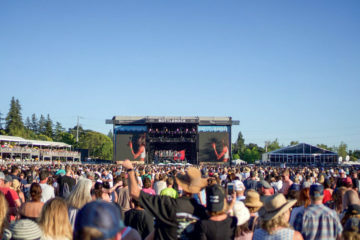 If you’re planning to stay overnight and enjoy the festival throughout the entire weekend, I recommend the following hotels and B&B’s that are located directly in downtown Napa: Andaz Hotel, Archer Hotel, Napa River Inn, River Terrace Inn, The Inn On Randolph, Embassy Suites and or River Pointe Napa Valley Resort. Honestly though, if you do not have your place to stay yet, you are going to be paying BIG BUCKS, so I would suggest checking out AIRBNB and or staying in a different city, hotels are averaging around $500 per night for anything within 10 miles of the festival! If you can afford that, click any of the links above to be taken directly to their booking pages! What To Do While you’re here? 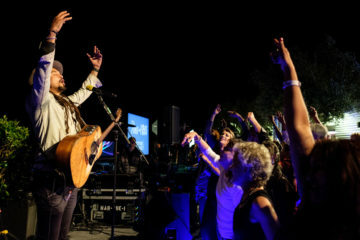 If you are coming to experience the festival and also experience Napa Valley, some of my favorite Wineries are listed here: Silver Trident Winery, Reverie Winery, Pride Vineyards, Schweiger Vineyards, Shadybrook Estate, Quixote Winery, Ancien Vineyards, Rebel Vintners, Vintners Collective, Cru @ The Annex, The Wine Thief, Acumen Wines, Blackbird Vineyards. 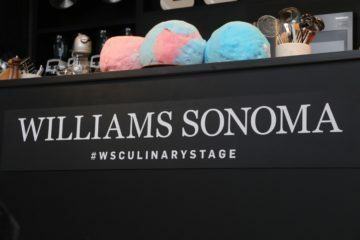 The majority of places are located in and around downtown Napa, but I also threw in a couple spots that are well worth the drive up valley to check out! Recently I went on a Hot air balloon ride with Napa Aloft, and I’ll tell you what, it was worth every penny!! If you don’t mind waking up at the crack of dawn, the views of the NV at 7 a.m. from 1000 ft above are pure magic and while there are many balloon services, NV Aloft is my favorite! If you’re scared of heights and balloons aren’t your thing, another great activity is always relaxing at the spa. Located just 10 miles from downtown Napa is Silverado Resort and Spa, as well as Vintage House and Spa Villagio….both spots are hotel/resorts and offer other amenities, like pools and hot tubs to relax and soothe your muscles from all the walking, jumping and dancing you’ll be doing ! At this point you don’t need me to tell you about the lineup, it’s been posted for months, but I will let you in on a secret that I have discovered when it comes to planning and making sure you get to see all your favorite acts, get a VIP pass! If you go with the GA passes, you will be trekking around the entire day just to listen to the first 30 minutes of one act and miss the first 30 minutes of another act you wanted to see. My main advice is to map out your efforts and invest in the cost to go VIP and skip the lines, be up close and have cleaner bathrooms…just saying! If there was ever a time to run out to Napa Valley to see what we are all about, this is the time. 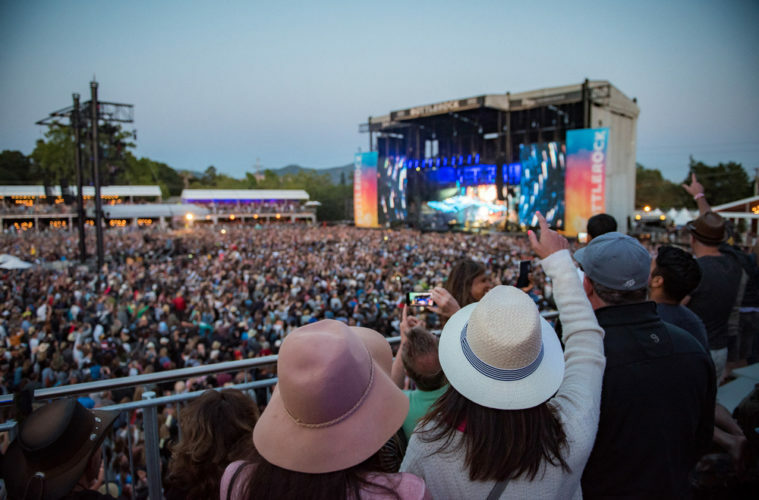 Come and live the Napa Valley life with us and experience a music festival the only way it should be experienced! Can’t wait to see you all there! A fifth-generation Napan, Mallory Uran McEligot works as the Membership and Industry Relations Manager at Yountville’s Silver Trident Winery, and is the creator of BANG, the By Appointment Networking Group. 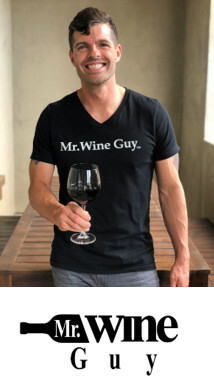 BANG is instrumental in establishing valuable relationships between by appointment wineries, concierge, drivers and caterers throughout the wine industry. 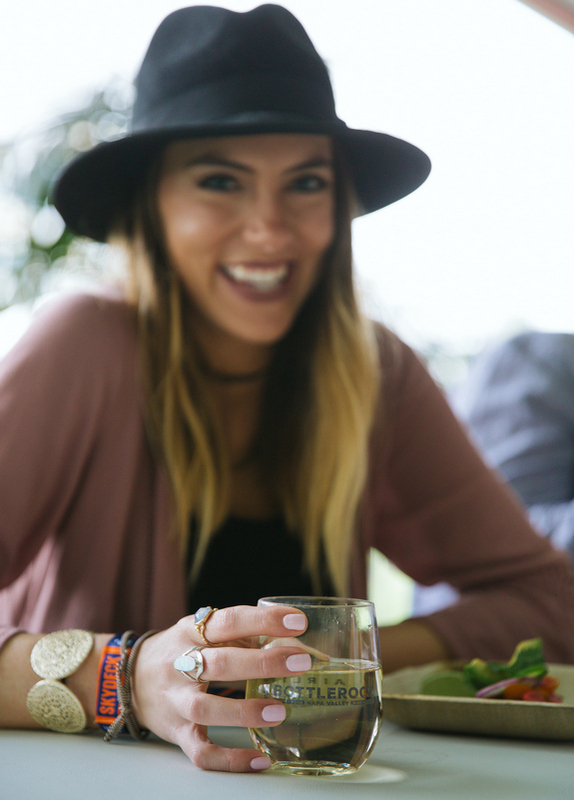 Mallory’s passion and knowledge for wine, fashion and this beautiful place she’s always called home shines through her lifestyle blog VineLiving, an insider’s guide to Napa Valley. 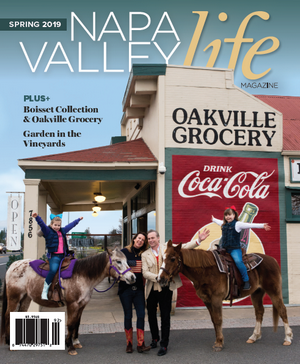 Napa Valley Life Magazine shared a post.